When I last saw Oliver Rackham I was infected by his curiosity. Someone suggested, as we walked though a woodland, that one spot might have been historically used for making charcoal so Dr Rackham dived into the undergrowth armed only with a set of keys and dug into the soil and he soon emerged triumphant with some old charred remains, proving definitively that this location had in fact been used for charcoal making. This sort of curiosity and dogged ferreting for facts runs through his new book on the ash tree. He considers what threats the ash tree faces, but he also uses the book as a platform for a wider diagnosis of the state of British woodlands. Yes, "The Ash Tree" is vitriolic in parts such as when he condemns the government's response to threats to ash trees: "Defra produced 34 pages of verbiage on Chalara, the No. 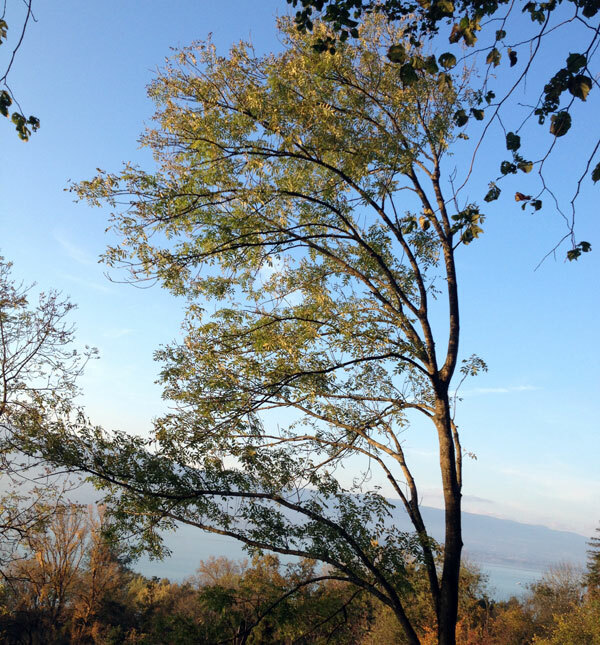 2 threat to ash trees that has got here and is uncontrollable, without one mention of the Emerald Ash borer, the No. 1 threat, that could yet be kept out." But the book is also sanguine about the likely effects of Ash Dieback (Chalara fraxinea) and, ever focused on evidence, Oliver Rackham points out that in other countries Ash Dieback has tended not to kill the host trees but just to damage them. The experience of Dutch Elm disease in the 1970s stops us being over-optimistic on the outcome of Ash Dieback but equally there is not enough yet to prove that British Ash trees are "all doomed". Even Elm continues to grow as a hedgerow tree throughout the country and as tall trees in several pockets.Remarkably, until "The Ash Tree" was written there was no book dedicated to the ash, in contract to the dozens of books written about the oak tree. This is surprising considering that ash has been such an important wood in British woodlands and as a timber for building and for manufactured goods. Because it is easily bent it was used for making tennis rackets before carbon fibre took over, it was used for trims on cars such as the Morris Traveller and remains the preferred material for tool handles. Rackham is skeptical about the claim that it is the best firewood but admits that its low moisture content is an advantage and he also discusses the role of ash twigs which are used for feeding livestock in Scandinavia and the Alps. In art, ash trees have an important place - John Constable admired trees with an "ecstasy of delight" and ash was his favourite tree, while David Nash has grown and maintained an ash dome for over 40 years. In typical analytical style Oliver Rackham calculates how many references to different trees are made by Shakespeare, Wordsworth, Tennyson and Yeats and finds that, although a poor second to Oak, ash has a prominent place in literature. 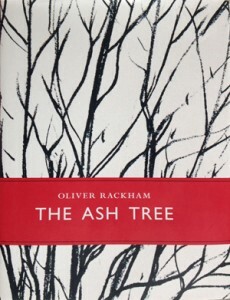 There are probably about as many ash trees in the UK as there are people, though a lot depends on how big you require a plant to be to qualify as a tree, and Rackham considers what the biggest threats are to the ash tree. Certainly Chalara and an excessive deer population are bad news for ash trees, but the number one threat, Rackham concludes, based on the experience of America and asia, is the Emerald Ash Borer which is fatal to ash trees. This illustrates that generally British wildlife is most endangered by globalisation which exposes trees to pathogens and parasites for which they are unprepared. We should, Oliver Rackham argues, make use of the fact that we are an island to protect nature and to forestall diseases that have not yet got here. We should "stop treating plants (and bees) as mere articles of trade, like cars or tins of paint, to be made and brought in industrial quantities from anywhere." This monogram on the ash tree, Fraxinus excelsior, is really a plea for a radical review of how we protect British woodlands and re-order our world as if trees really mattered. It's a bargain at £15.